When researching things to do in Cartagena almost every list has one thing in common. Visit Getsemani. This once-seedy neighborhood is now the coolest, hippest and surprisingly authentic neighborhood. And everyone is talking about it. 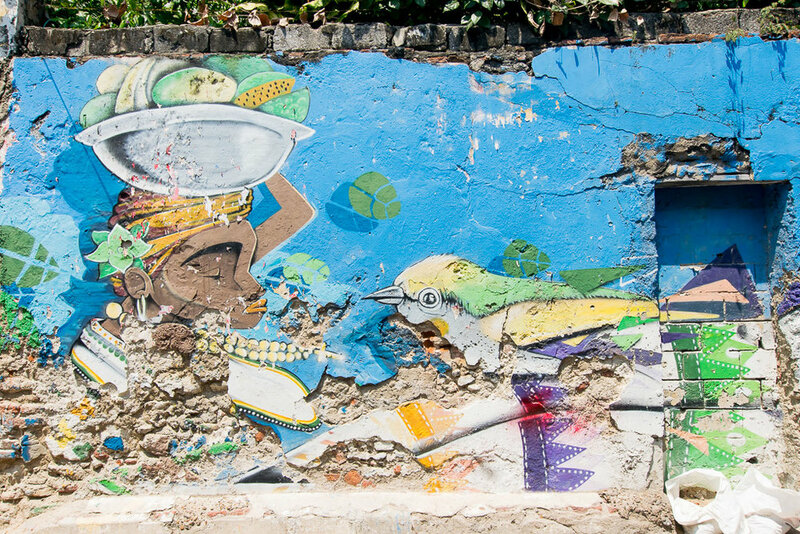 So what should you do when you visit Getsemani? This is such a cool park because it's full of wildlife! 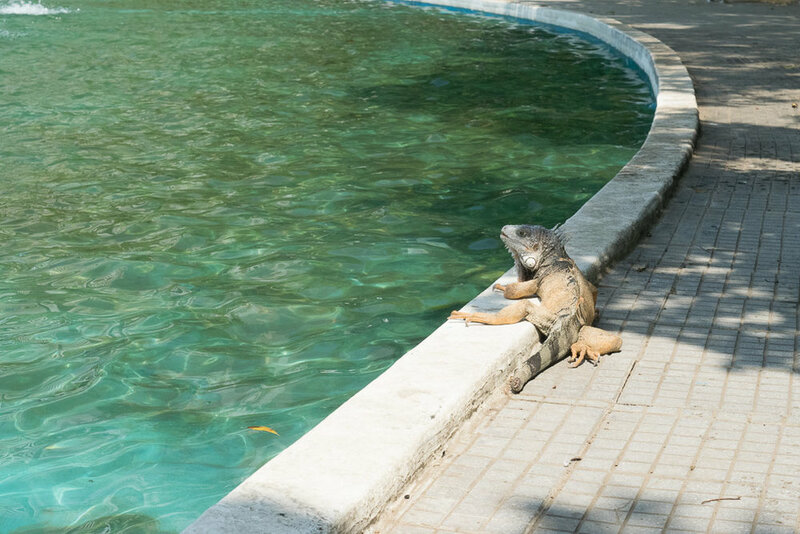 We spotted a sloth and many huge iguanas during our quick walk through. Once in Getsemani it's pretty simple. The colorful walls will remind you of Cartagena but everything is much simplier here. As you wander you'll also notice a bunch of art. If you start to get a little hungry the food scene here doesn't disappoint. Although it is super close to Cartagena there are so many amazing places you should try in Getsemani. So don't be afraid to venture here for the whole day. Also, Getsemani is super safe at night! When it comes to the food scene, the best restaurants in Getsemani tend to be more trendier. This tiny neighborhood though truly has something for everyone. Malagana Cafe Bar: Great place for a chilled drink with a small but pretty rooftop. Try the ceviche here as well. Cafe Stepping Stone: One of the best places we ate at while in Cartagena. The food is delicious, especially for breakfast. Do be aware that service is extremely slow. This is because they hire the poorer kids of Cartagena and work on teaching them basic skills so they can move up in life. Saint Roque Cafe Pub Restaurante: This amazing restaurant has a Dutch owner and serves fantastic and cheap Indonesian food. Di Silvio Trattoria: Every single list has this restaurant on it. I can see why it's one of the top restaurants in Getsemani and probably a top restaurant in Cartagena. This place is fantastic. You can probably tell by the name but it's Italian food. Get the thin crust pizza. Cafe del Mural: On a side street that hosts some amazing street art. This cafe also has some of the best coffee in Colombia. Do the tasting, it's priced so cheaply and worth the experience! Want to be really cheap? Check out all of the local street food! The main square has so much to choose from and the best part is you can eat a huge meal for around $3-$5. It's basically Zumba meets grinding meets high energy workout. We opted to watch while we ate dinner, but I'm sad I missed it. The place was packed and everyone was dancing from age 8 to 80. Head here late night for some of the best dancing in Cartagena. This place is legendary and for good reason. You can't not have a good time.